"Thailand, one of Southeast Asia's most iconic destinations, is home to a rich, well-maintained culture, sophisticated cuisine and an enchanting mix of the traditional and the modern. Whether you choose to take in the dazzling golden temples and floating markets of Bangkok, or explore the palm-fringed tropical beaches and untouched national parks that lie beyond." Island-hop your way down the Andaman coast, sample street food at Bangkok’s night markets or trek to the hill tribes around Chiang Mai. 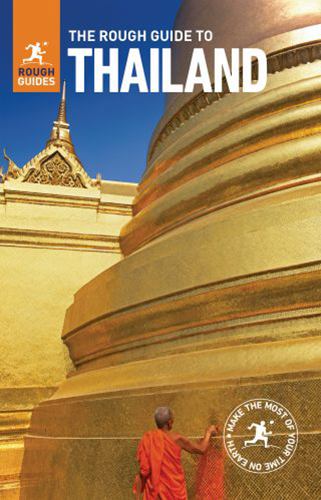 The Rough Guide to Thailand will show you the ideal places to sleep, eat, drink, shop and visit along the way. – Full-colour maps throughout- navigate Bangkok’s backstreets and stroll around Krabi town without needing to get online. – Things not to miss – Rough Guides’ rundown of Thailand’s best sights and experiences. – Basics – essential pre-departure practical information including getting there, local transport, accommodation, food and drink, health, the media, festivals, outdoor activities, spas and traditional massage, meditation centres and retreats, culture and etiquette, travelling with children, and more. – Background information- a Contexts chapter devoted to history, religion, art and architecture, flora and fauna, environmental issues, music, hill tribes, film and recommended books, plus a handy language section. Areas covered include: Bangkok; Chiang Mai; Ko Samui; Ko Pha Ngan; Ko Lanta; Phuket; Ko Phi Phi; Krabi; Ko Tao; Ko Chang; Ko Kood; Ko Samet; Ko Mak; Pai; Ayutthaya; Nakhon Si Thammarat; Nan; Ao Phang Nga. 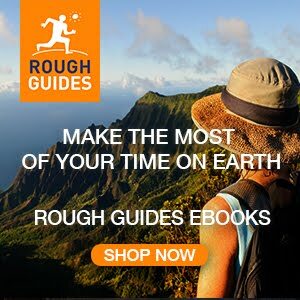 Make the Most of Your Time on Earth with The Rough Guide to Thailand.